Another tasteful boy bedroom with twin beds. Love the orange dresser! 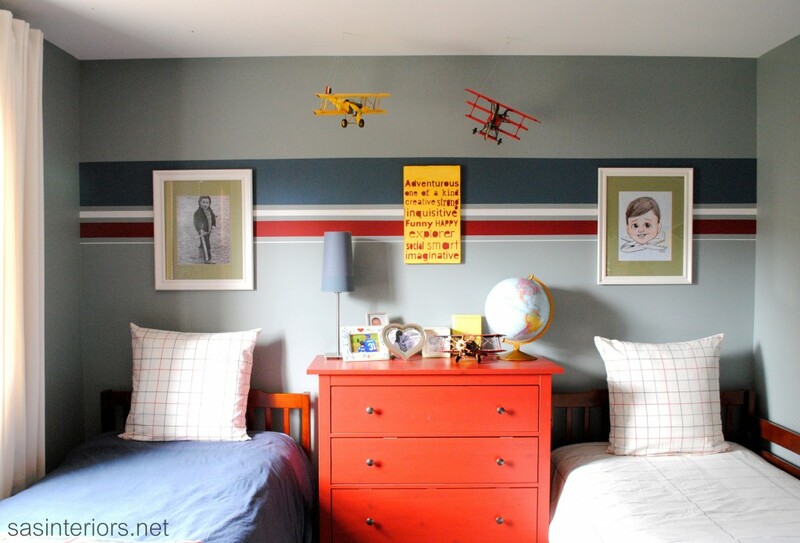 See the Room Tour at SAS Interiors!